Set a timer for 20 minutes and reinvent yourself as a slow eater. This is one of the top habits for slimming down without a complicated diet plan. Savor each bite and make it last until the bell chimes. Paced meals offer great pleasure from smaller portions and trigger the body's fullness hormones. 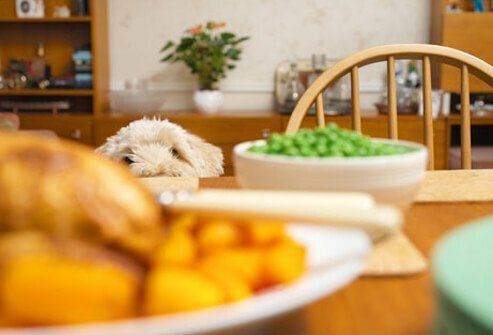 Wolfing your food down in a hurry blocks those signals and causes overeating. Sleeping an extra hour a night could help a person drop 14 pounds in a year, according to a University of Michigan researcher who ran the numbers for a 2,500 calorie per day intake. His scenario shows that when sleep replaces idle activities  and the usual mindless snacking  you can effortlessly cut calories by 6%. Results would vary for each person, but sleep may help in another way, too. There's evidence that getting too little sleep revs up your appetite, making you uncommonly hungry. Serve three vegetables with dinner tonight, instead of just one, and you'll eat more without really trying. Greater variety tricks people into eating more food  and eating more fruits and vegetables is a great way to lose weight. The high fiber and water content fills you up with fewer calories. Cook them without added fat. And season with lemon juice and herbs rather than drowning their goodness in high-fat sauces or dressings. 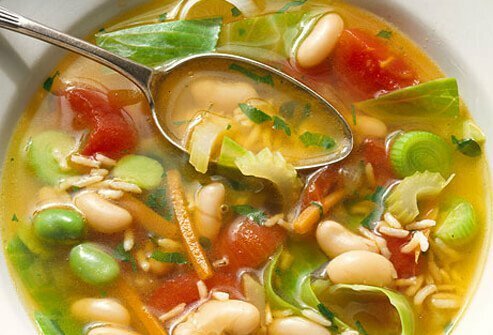 Add a broth-based soup to your day and you'll fill up on fewer calories. Think minestrone, tortilla soup, or Chinese won-ton. 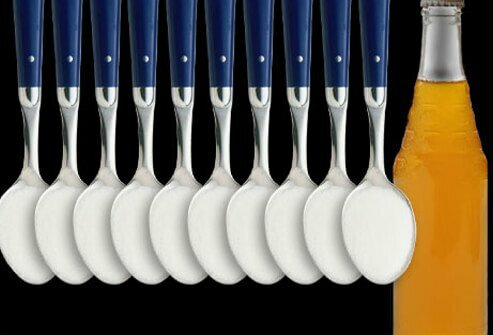 Soup's especially handy at the beginning of a meal because it slows your eating and curbs your appetite. Start with a low-sodium broth or canned soup, add fresh or frozen vegetables and simmer. Beware of creamy soups, which can be high in fat and calories. Whole grains such as brown rice, barley, oats, buckwheat, and whole wheat also belong in your stealthy weight loss strategy. They help fill you up with fewer calories and may improve your cholesterol profile, too. Whole grains are now in many products including waffles, pizza crust, English muffins, pasta, and soft "white" whole-wheat bread. Hang an old favorite dress, skirt, or a smokin' pair of jeans where you'll see them every day. This keeps your eyes on the prize. Choose an item that's just a little too snug, so you reach this reward in a relatively short time. Then pull out last year's cocktail dress for your next small, attainable goal. 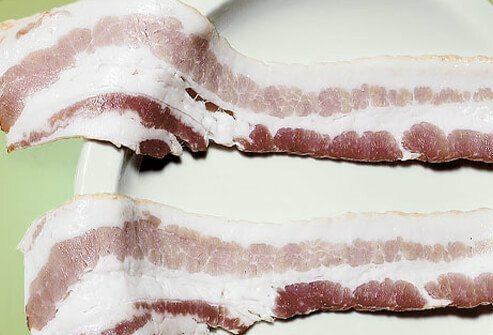 Pass on those two strips of bacon at breakfast or in your sandwich at lunch time. This simple move saves about 100 calories, which can add up to a 10 pound weight loss over a year. Other sandwich fixings can replace the flavor with fewer calories. Think about tomato slices, banana peppers, roasted red bell peppers, grainy mustard, or a light spread of herbed goat cheese. 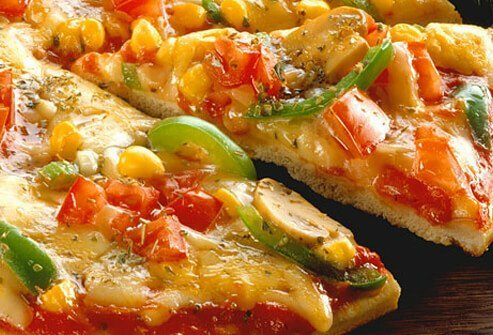 Choose vegetable toppings for pizza instead of meat and you may be able to shave 100 calories from your meal. Other skinny pizza tricks: Go light on the cheese or use reduced-fat cheese and choose a thin, bread-like crust made with just a touch of olive oil. Replace one sugary drink like regular soda with water or a zero-calorie seltzer and you'll avoid about 10 teaspoons of sugar. Add lemon, mint or frozen strawberries for flavor and fun. The liquid sugar in soda appears to bypass the body's normal fullness cues. One study compared an extra 450 calories per day from jelly beans vs. soda. The candy eaters unconsciously ate fewer calories overall, but not so the soda drinkers. They gained 2.5 pounds in four weeks. 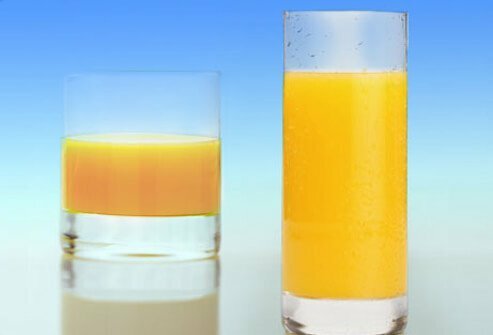 Use a tall, skinny glass instead of a short, wide tumbler to cut liquid calories -- and your weight -- without dieting. You'll drink 25%-30% less juice, soda, wine, or any other beverage. How can this work? Brian Wansink, PhD, says visual cues can trick us into consuming more or less. His tests at Cornell University found all kinds of people poured more into a short, wide glass - even experienced bartenders. 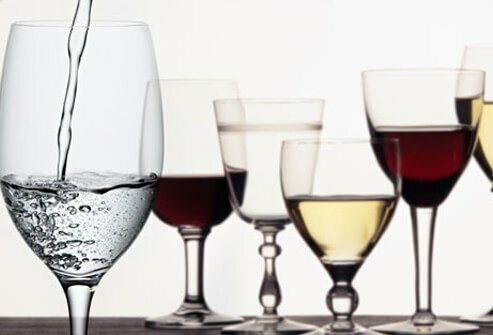 When an occasion includes alcohol, follow the first drink with a nonalcoholic, low-calorie beverage like sparkling water instead of moving directly to another cocktail, beer, or glass of wine. Alcohol has more calories per gram (7) than carbohydrates (4) or protein (4). It can also loosen your resolve, leading you to mindlessly inhale chips, nuts, and other foods you'd normally limit. 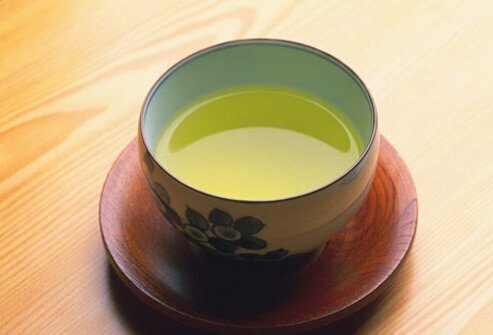 Drinking green tea may also be a good weight loss strategy. Some studies suggest that it can rev up the body's calorie-burning engine temporarily, possibly through the action of phytochemicals called catechins. At the very least, you'll get a refreshing drink without tons of calories. 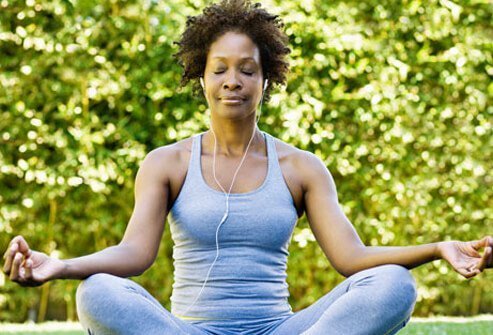 Women who do yoga tend to weigh less than others, according to a study in the Journal of the American Dietetic Association. What's the connection? The yoga regulars reported a more "mindful" approach to eating. For example, they tend to notice the large portions in restaurants but eat only enough to feel full. Researchers think the calm self-awareness developed through yoga may help people resist overeating. 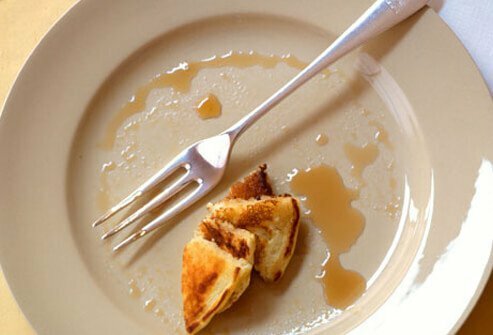 Most people have a natural "eating pause," when they drop the fork for a couple of minutes. Watch for this moment and don't take another bite. Clear your plate and enjoy the conversation. This is the quiet signal that you're full, but not stuffed. Most people miss it. 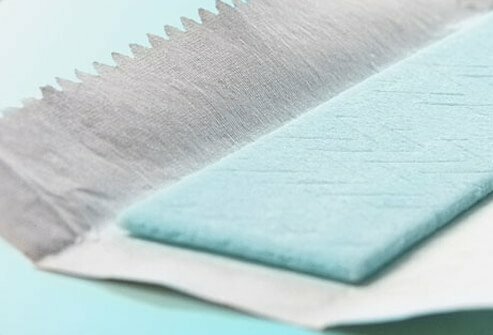 Chew sugarless gum with a strong flavor when you're at risk for a snack attack. Making dinner after work, at a party, watching TV, or surfing the Internet are a few dangerous scenarios for mindless snacking. Gum with a big flavor punch overpowers other foods so they don't taste good. Chose a 10-inch lunch plate instead of a 12-inch dinner plate to automatically eat less. 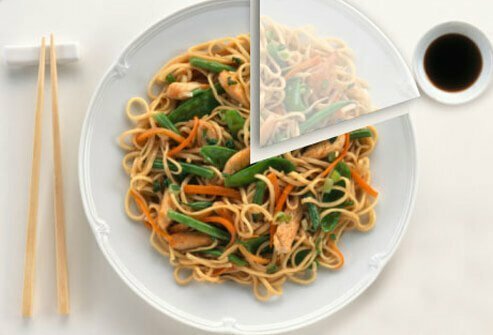 Cornell's Brian Wansink, PhD, found in test after test that people serve more and eat more food with larger dishes. Shrink your plate or bowl to cut out 100-200 calories a day  and 10-20 pounds in a year. In Wansink's tests, no one felt hungry or even noticed when tricks of the eye shaved 200 calories off their daily intake. The top habit of slim people is to stick with modest food portions at every meal, five days a week or more. "Always slim" people do it and successful losers do it, too, according to a Consumer Reports survey. After measuring portions a few times, it can become automatic. Make it easier with small "snack" packs and by keeping serving dishes off the table at meal time. Americans are conditioned to keep eating until they're stuffed, but residents of Okinawa eat until they're 80% full. They even have a name for this naturally slimming habit: hara hachi bu. 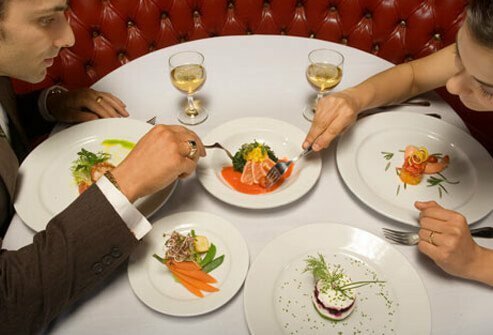 We can adopt this healthy habit by dishing out 20% less food, according to researcher Brian Wansink, PhD. His studies show most people don't miss it. Split an entrée with a friend. Order an appetizer as a meal. Get half the meal in a doggie bag before it's brought to the table. 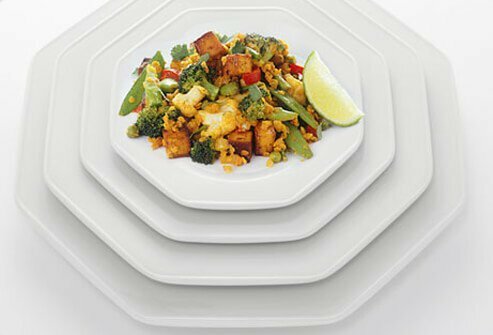 Complement a smaller entrée with extra salad for the right balance: half the plate filled with veggies. 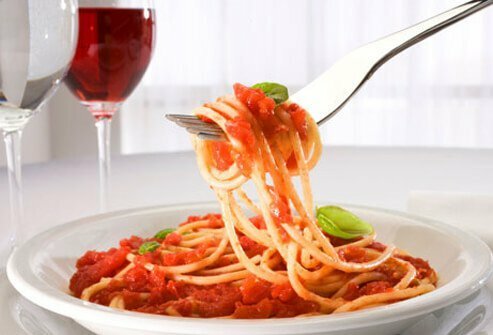 Choose marinara sauce for pasta instead of Alfredo sauce. The tomato-based sauces tend to have fewer calories and much less fat than cream-based sauces. But remember, portion size still counts. 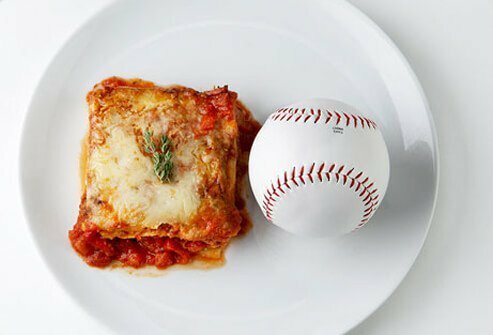 A serving of pasta is one cup or roughly the size of a tennis ball. Eating vegetarian meals more often is a slimming habit. 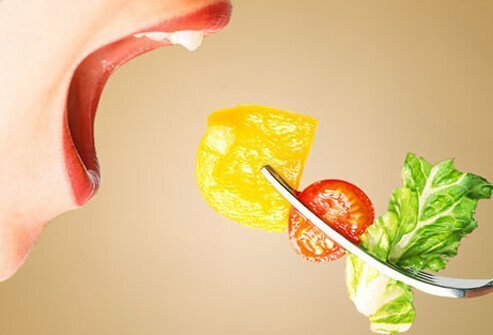 Vegetarians tend to weigh less than meat eaters. While there are several reasons for this, legumes may play an important role. 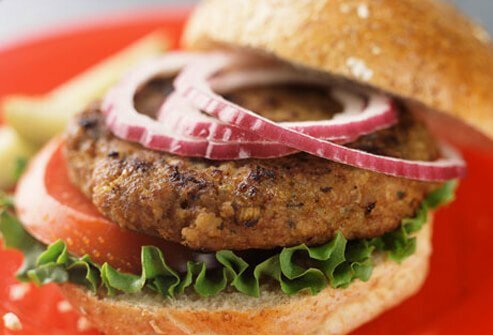 Bean burgers, lentil soup, and other tasty legume-based foods are simply packed with fiber. Most Americans get only half of this important nutrient, which fills you up with fewer calories. 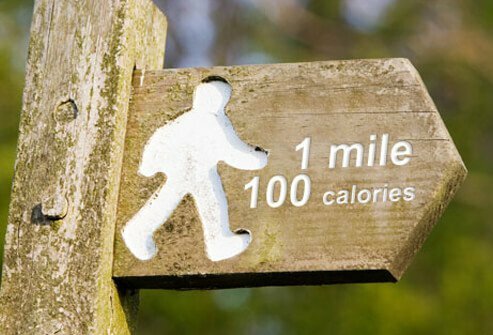 Walk 1 mile, about 20 minutes. Pull weeds or plant flowers for 20 minutes. Mow the lawn for 20 minutes. Clean house for 30 minutes. When you've kicked the soda habit or simply made it through the day without overeating, pat yourself on the back. You've moved closer to a slimming lifestyle that helps people lose weight without crazy or complicated diet plans. Phone a friend, get a pedicure, buy new clothes -- or on occasion, indulge in a small slice of cheesecake. Acha nipite nahis hayanhusu mi mswahili wa kweli.